Are you hosting a live auction at your fundraising event in addition to a silent auction? 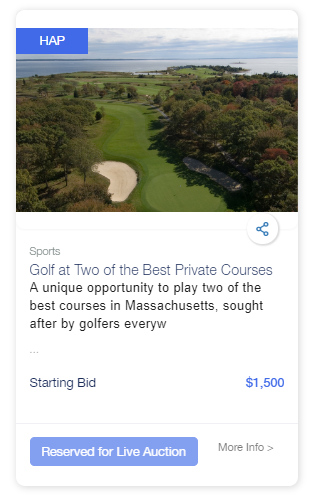 If so, you can use your Accelevents fundraising page to draw attention and interest in your Live Auction items (without allowing silent auctions bids on them). Simply follow the instructions below! 5. You are all set! Now, your live auction items will display as being reserved for your live auction.